Your kitchen is the heart of your home and is often the room most used. Are your cabinets showing the effects of age and use? Have your needs and tastes changed? Are you moving or building and want to upgrade your cabinets? Do you want to resurface, replace, or refinish your existing doors? Cabinet Artists will make it happen. 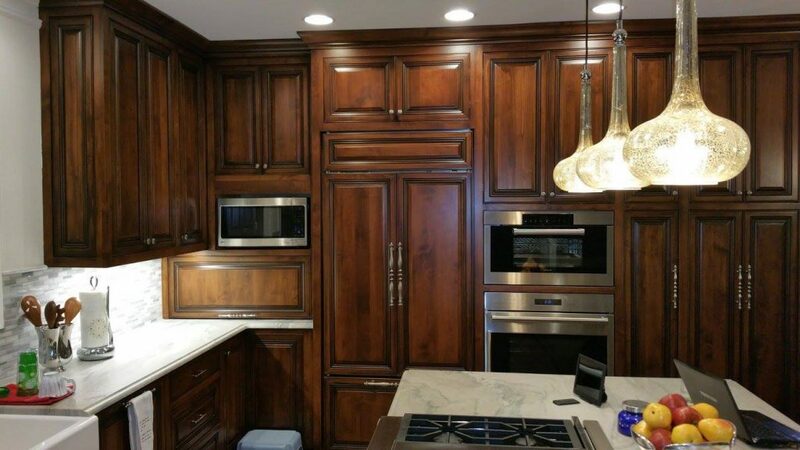 Combining old-world standards with new-world progressiveness, we offer custom cabinet finishes, refinishing, staining, toning, refacing. From modern, contemporary finishes to traditional, we do it all. Our finishes are created with professional grade catalyzed lacquers to ensure a durable and furniture-like finish. Skilled artisans in our state-of-the art workshop custom create each door finish. We offer a number of door styles in a wide range of sizes.